Art outlives governments, creeds, societies, even civilisations. Art is what we find again when the ruins are cleared away. 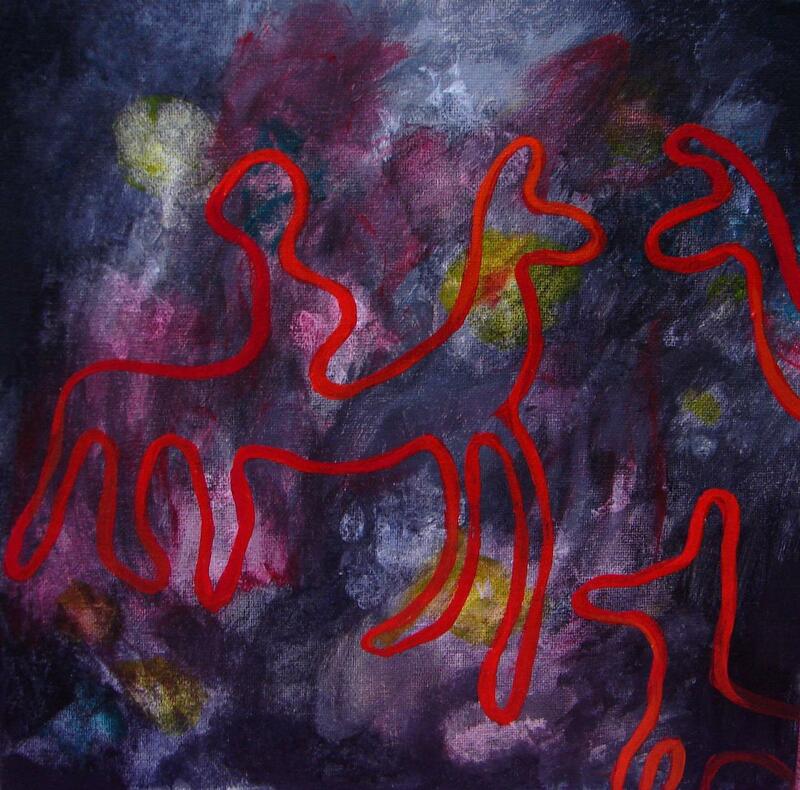 My first introduction to Rock Art was while studying Art History in Amsterdam. We had a brief look at the cave paintings of Lascaux (in France) as an example of one of the earliest forms of painting and human beings producing art. We soon moved on to subjects the course spent far more time on, like Renaissance Art, Gothic Cathedrals and so forth. 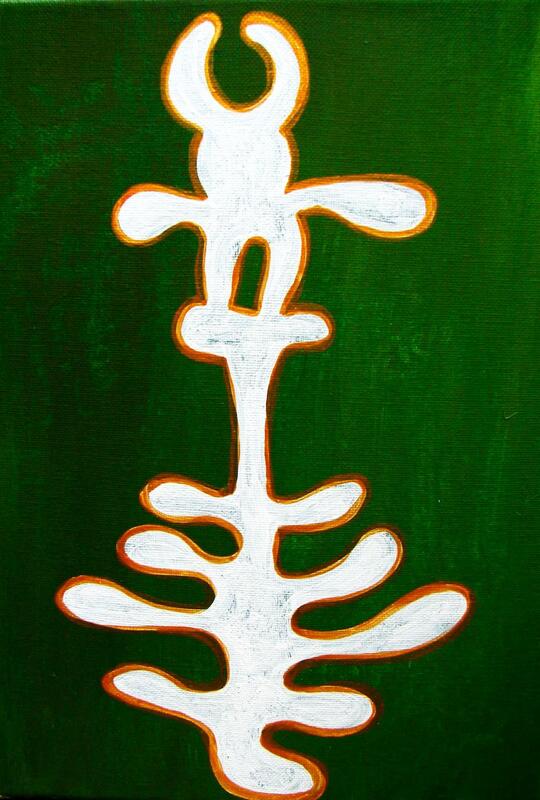 My second introduction to Rock Art was in Sweden I was painting and researching labyrinths as vehicles for spiritual or inner journeys and I was very keen to visit, and actually walk (! ), a real one. We visited a labyrinth called Trelleborg's Slott on the Swedish west coast. As we were in the area, we also paid a visit to the rock art in Vitlycke and Tanumshede. Unlike the slide show in the lecture hall 20 year earlier, the images at Tanumshede really spoke to me. It seemed incredible that they were carved many centuries ago, and yet look so fresh and 'evocative'. It is almost like entering a time travel machine: an instant transfer across the ages to a very different era! (The petroglyphs at Tanumshede have been painted a bright red, presumably to make it easier for visitors to make out the images. Personally I find it more fascinating than Renaissance Art or Gothic cathedrals! It can be found all over the world, often in caves, but also in less secluded places. 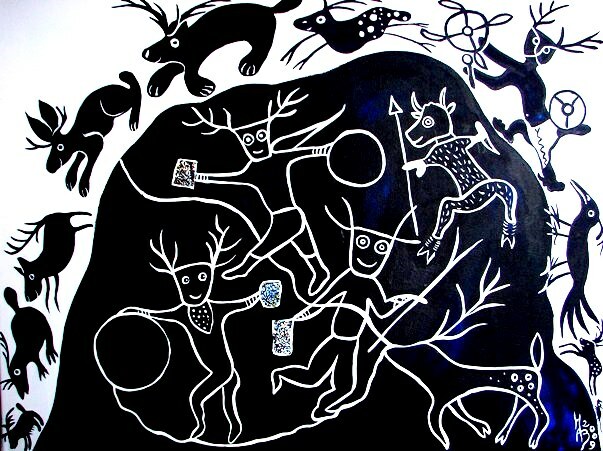 When you read about Rock Art, you soon come across references to Shamanism. According to traditions found all over the world, shamans acted as a link between humans and another dimension, or Other World and supernatural powers. Access points to the Otherworld include liminal ('edgy') places such as estuaries, rapids, caves, islands and so forth. Sacrificial sites are often found in such edgy places. Rock Art sites such as Mount Bego (Southern France) or Camonica Valley (Northern Italy) are at the edge of the settled landscape, in a cleft within the mountains.There is a lot to be learned about sacred landscapes by listening to indigenous peoples and embracing their perspectives and teachings. The Native American peoples of Northern America tell us how people who were about to become shamans went on vision quests, where through isolation and fasting they entered a trance state and met a guardian spirit. Shamans sought out lonely sites for gaining contact with the spirit world and sacred knowledge. At times these Native American shamans might use red ochre to create rock art in order to create an image of the vision received. That way a natural place became a place of transcendental significance. Caves, fissures and cracks in rocks were considered especially important because they served as access routes for spirits and a place for offerings to be left. Field study of such sites shows that they have natural acoustic properties (the whistling of wind, the lapping of waves) that were of great importance and added to the drumming, chanting, singing and using rattles of shamanic ritual. 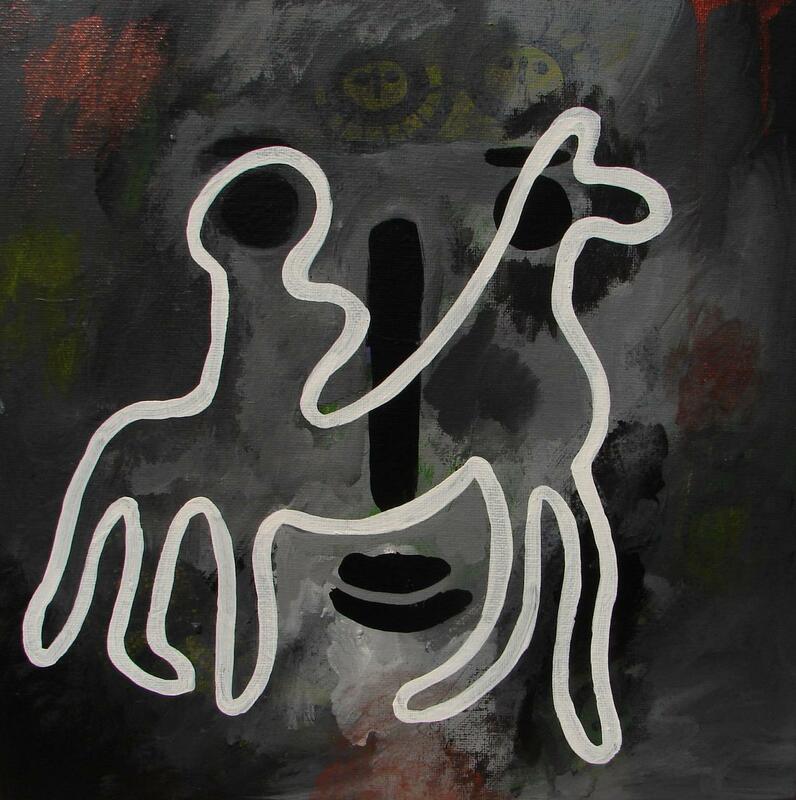 What touches me so deeply about art that was, in some cases, made some 30,000 years ago, Prehistoric Art? Maybe because it was art that was made by our ancestors in direct response to consciousness, an awareness of being and being human. After all, though bears have been known to leave deep scratch marks in caves (and indeed over rock art! ), animals don't produce art. Animals don't develop religion either, but humans do. Some anthropologists claim that art was born at the same time as religion in the mind of 'anatomically modern human beings'. A scientist who studies the human brain (called David Lewis Williams) claims that Neanderthal people were unable to remember their dreams and talk about them and similarly their brain had not been wired for art & religion. They were what he calls 'Congenital Atheists'. I am not sure I believe this because elsewhere I have found references to elaborate funeral rituals practiced by those people. I once read an account of how a group of Ngarinyin Aboriginal people were taken from their tribal lands in Australia for the first time to Europe. They were surprised but relatively unaffected by the radical change of setting. However, they were then taken in to the Lascaux Cave in southwestern France and they began to weep. While not recognizing exactly what they saw there, they believed that their sacred painted sites had crossed the world to meet them. They had discovered a context and cosmogonic approach very close to their own. 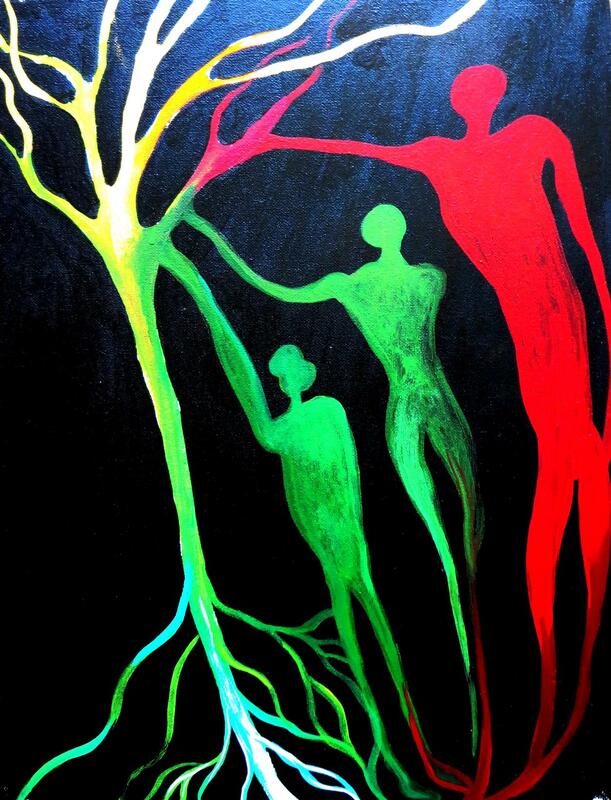 They recognized the vital force, the symbiosis between mankind and nature. 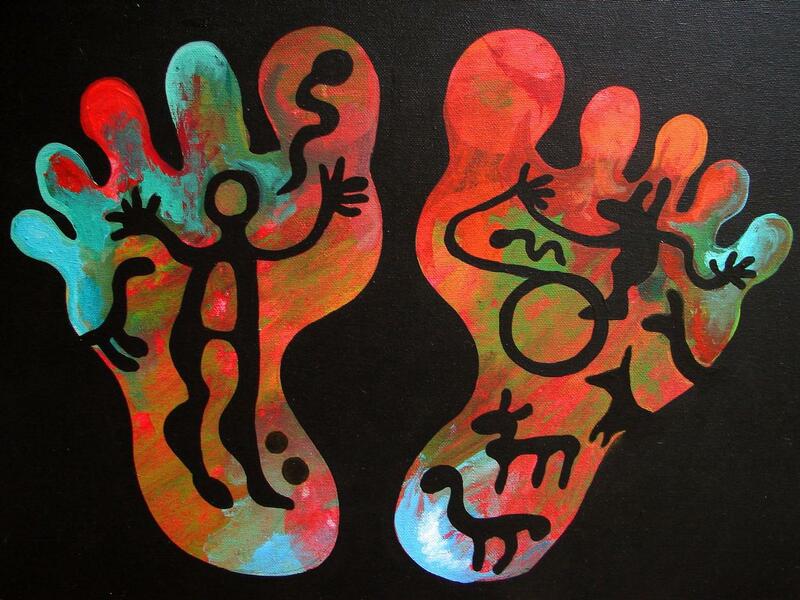 Foot prints and hand prints appear in rock art all over the world. 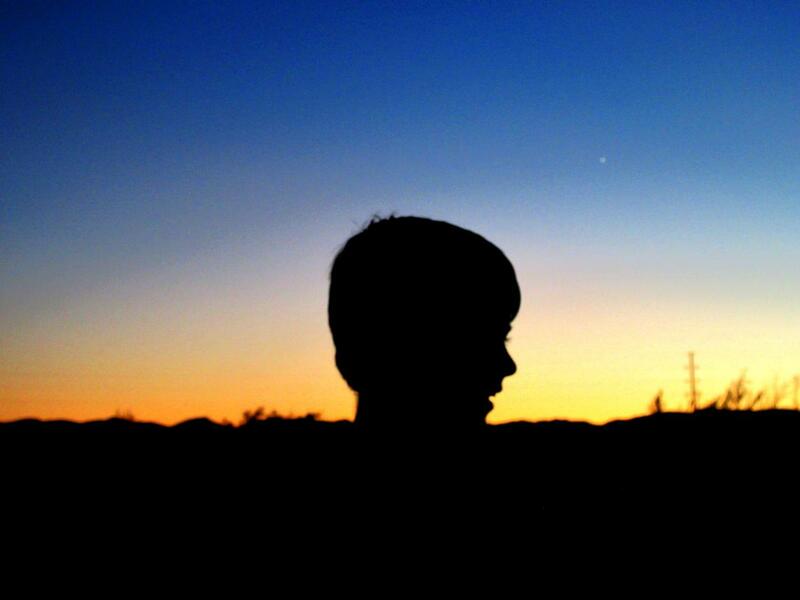 Here our everyday world literally touched the spirit world or 'other worlds'. Please note! We find a similar passage "grave" in Kivik, Sweden and visit this site on the Seidr/Fornsed course in Sweden, co-taught with Anna Kjellin! In South America human footprints in Rock Art can indicate the presence of human beings, or more indirectly, the creation of (hu)mankind. Footprints are an ubiquitous motif, they appear all over the world. In the province of Uppland in Sweden we find a set of footprints carved deliberately over a vein of quartz in a rock, making them luminescent. This could point to hidden power, i.e. they might symbolise a person's journey through the rock to an Other World. They might point to the living: to transition and transformation. They might equally represent the dead crossing over between worlds. It might be worth mentioning here that there is an Indian Jain tradition of carving footprints on stone plaques set up in sacred places to commemmorate those who starve themselves to death as sacrificial offerings. 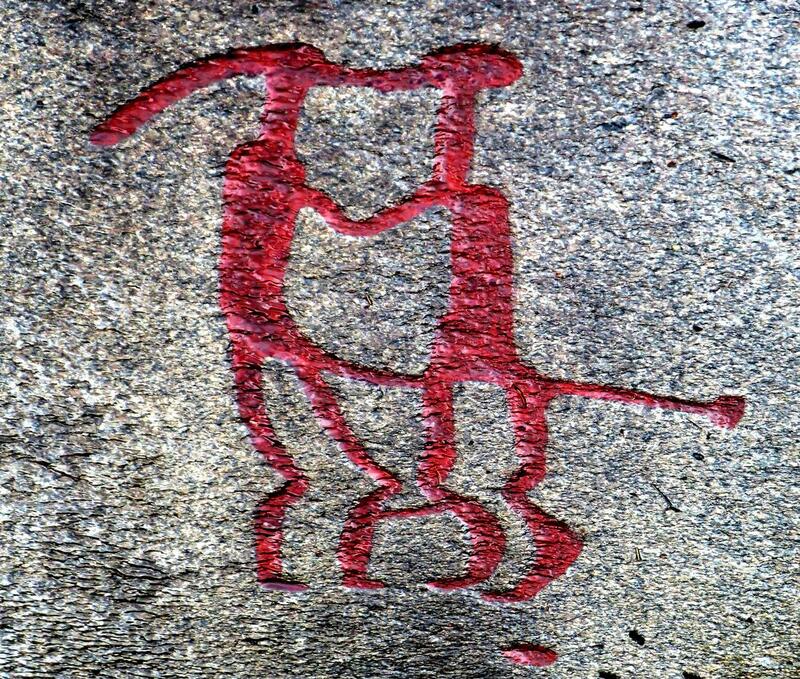 Another interesting fact is that in the Bohuslan region on the Swedish west coast, there are also many animal footprints (paw prints and cloven hooves) in rock art. 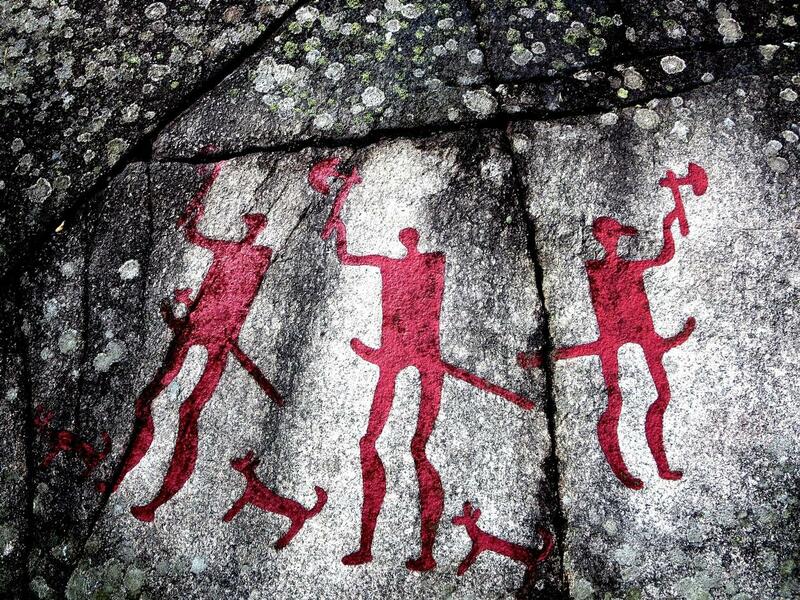 Maybe animals were crossing between worlds or disappering into the rock face as well?! 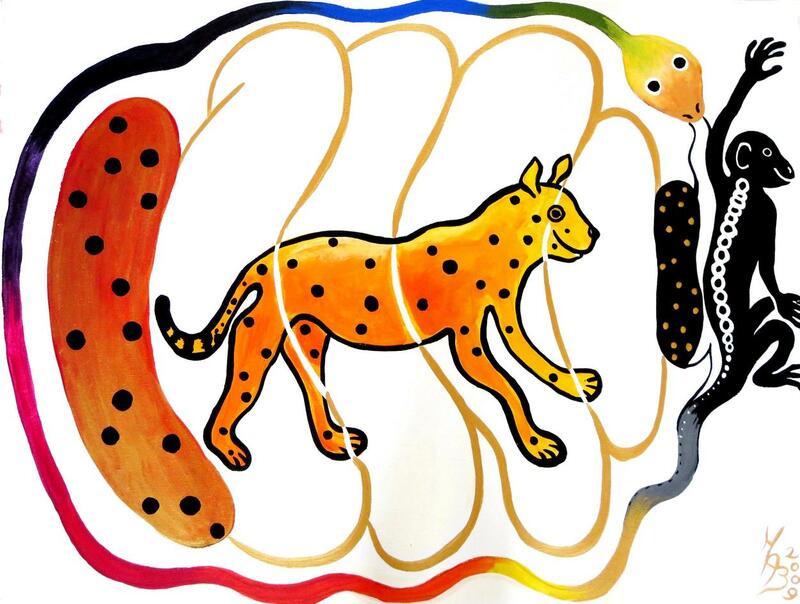 Animals that have been extinct for 15, 000 years or more appear in rock art. For the Aboriginal people the images of these vanished cretures from the Dreamtime preserve the magic power of those animals until today. All over the world, images of animals appear, but also mythical unearthly creatures that are half human and half animal. 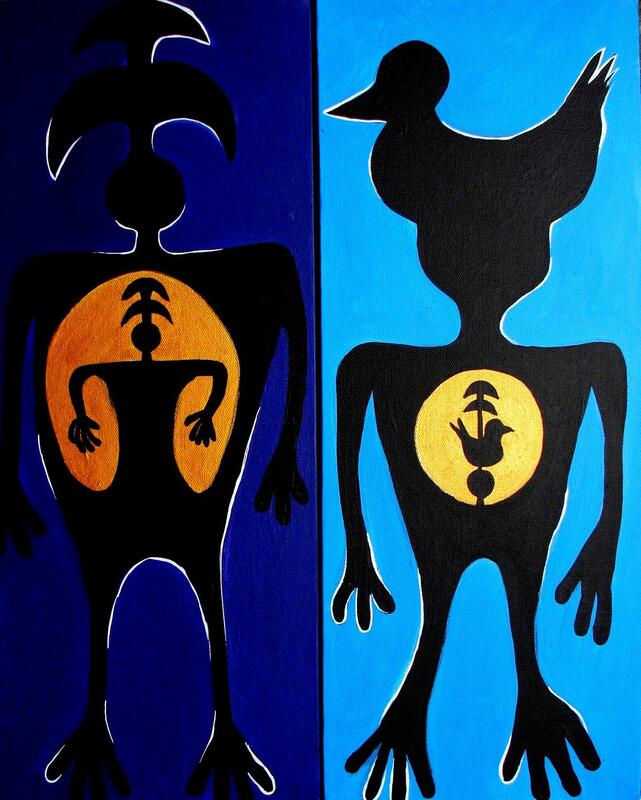 These figures form a direct link to a society's creation myths and spiritual beliefs. 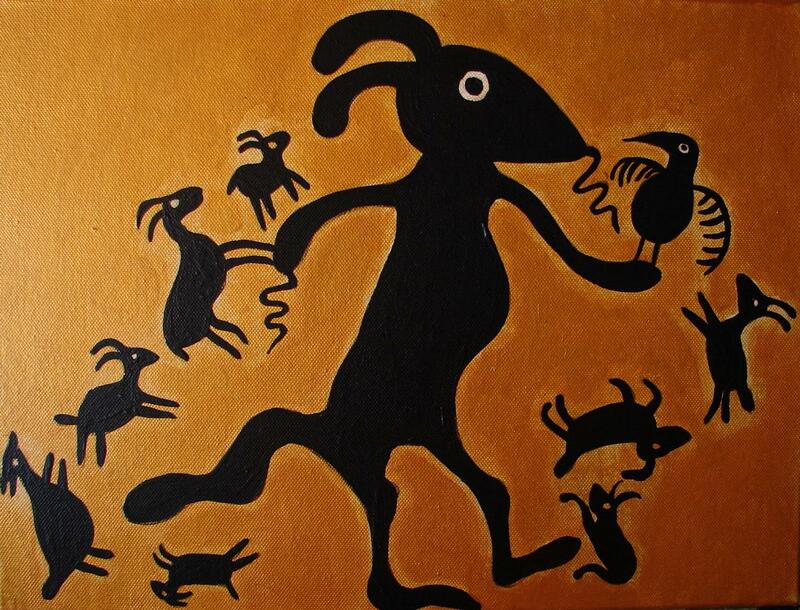 Animals that have been extinct for 15, 000 years or more appear in rock art. 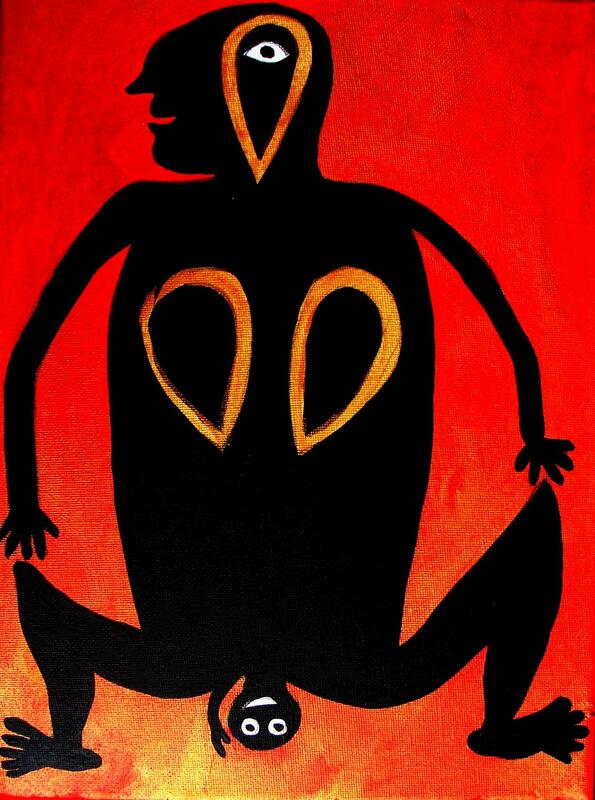 For the Australian Aboriginal peoplesthe images of these vanished creatures from The Dreamtime (or Dreaming) preserve the magic power of those animals until today. 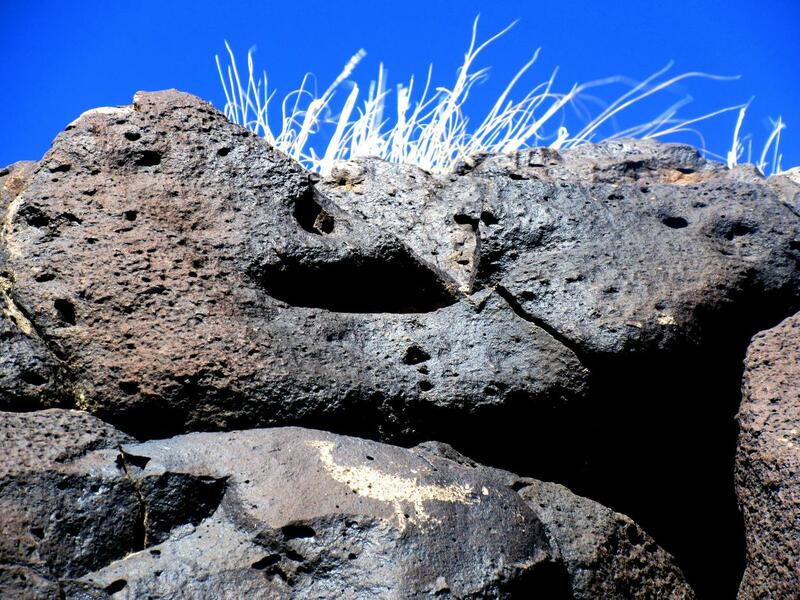 For Native American peoples, the same holds true: their ancient mythologies cast light on certain Rock Art images and representations. E.g. 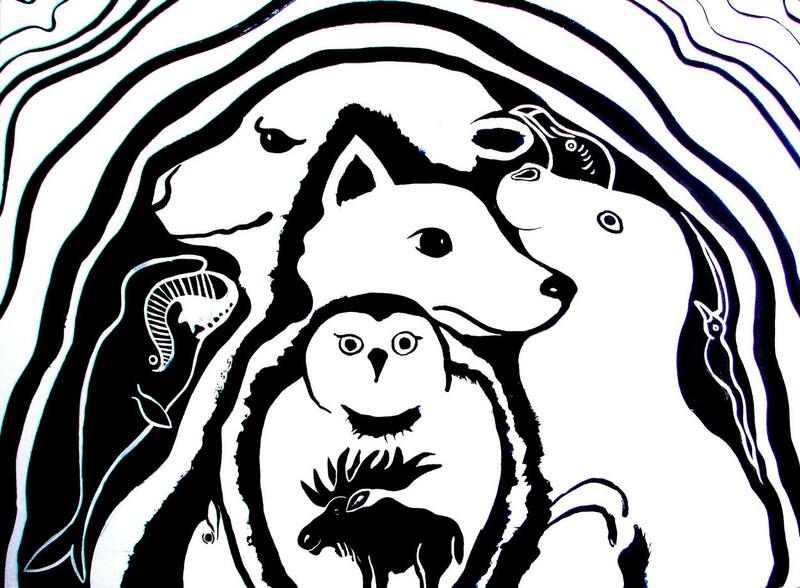 for the Algonquin a turtle surrounded by cup shapes stands for clan fertility, the eagle symbolizes lightning and absolute power and quadruped footprints suggest that which cannot be seen! It would be impossible to interpret this if we didn't have mythology to guide us. One concept that hasn't had a mention yet on this page is fertility. 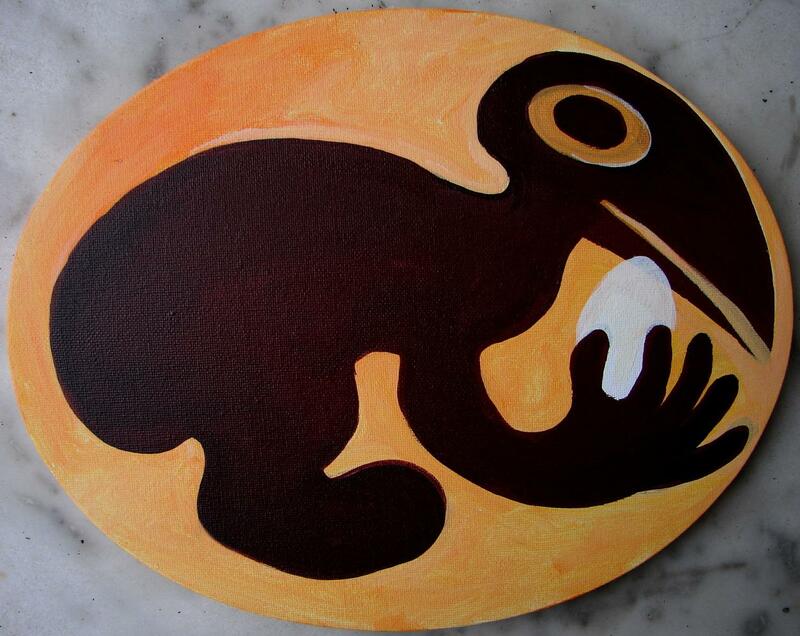 Fertility is one of the big themes in rock art of prehistoric cultures all over the world, particularly so in the American Southwest. Modern scholars find rock art imagery embarrassing because of its blatant depictions of sexuality. However, in Native American societies sexuality wasn't only about reproduction and it wasn't necessarily restricted by marriage either. It was thought to be a gift from the spirit world. It is also possible that some images of coupling depict fertility rituals such as the Sacred Marriage (or Hieros Gamos), where participants act out the parts of god and goddess in a mystical union to sustain life. Those petroglyphs have been painted in with red paint (in recent times). This means they are easy to see and enjoy. However, some people object to the artifice and intervention involved in this. In October 2016 I did powerful ceremonial work with a group of colleagues at Chaco Canyon in New Mexico. I did also visit and meditate with Anasazi petroglyphs there. SHAMAN PERCHED ON WORLD TREE?! The 'upside down' or 'backwards' symbolism is found in other parts of the world as well as in the Nordic region. 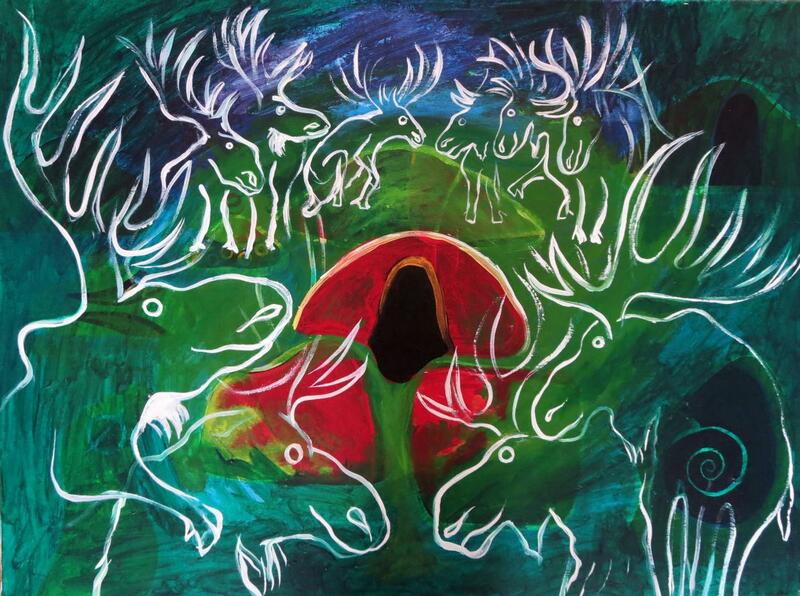 The Saami people of Lapland believe that the underworld is an inversion of the earth-world, and vice versa. 'The dead walk upside down in the footsteps of the living'. Just as for the Sora of Orissa, in Eastern India, the seasons in the underworld are inverted and the dead speak backwards. On the page about Siberia you can read more about shamans and the importance of footwear for Aboriginal Siberian people. They believed that footwear was very important because it literally touched down on the dividing line between our world and the Other World. As we are in Scandinavia and on the subject of crossings: on the Swedish west coast (in Vitlycke and Tanumshede) we find many boats 'sailing across' rock faces as though on the sea. A stiking feature is that some are definitely ships, but other images are more shed-like. Some seem deliberately ambigous: they could be either, or both at the same time. These could mark the seasons of the year (summer and and the snow and ice of winter) or they could be metaphors for life and death. Light worlds and dark worlds, this world and other worlds. The last interpretation is suggested by so called 'Upside Down Boats'. These are carved very deeply, which means that they must be significant. 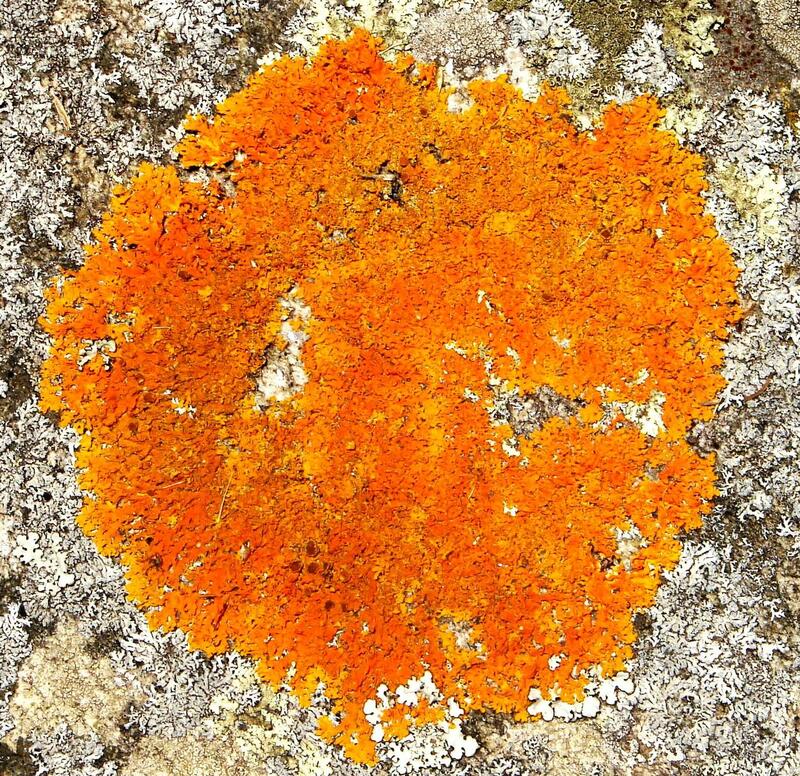 < I came across this mossy yellow shape on a big rock on the Islas de Cies, islands off the North West coast of Spain, while sailing during the summer of 2007. It seemed to illustrate how people might have started carving in rocks, possibly drawing on what already seemed to be there in terms of shapes suggested by cracks or moss! White Buffalo Calf Woman (Lak?ótiyapi: Pte Ska Win / Pteskawin / Ptesanwi) is a sacred woman of supernatural origin, central to the Lakota religion as the primary cultural prophet. Oral traditions relate that she brought the "Seven Sacred Rites" to the Lakota people. Buffalo are considered sacred to many of the Plains nations, who often consider them linked to creation, medicine and bringers of sacred messages from the ancestors. One interesting aspect of twins is the notion that twins were originally united in the womb, but forced apart at birth. Therefore they belong together and should ultimately be reunited. Essentially they constitute a single person together. In this sense they have come to represent the two sides of human nature, pairs such as masculine/ feminine, introvert/extrovert and so forth. The rock carving (SHAMAN PERCHED ON WORLD TREE?!) 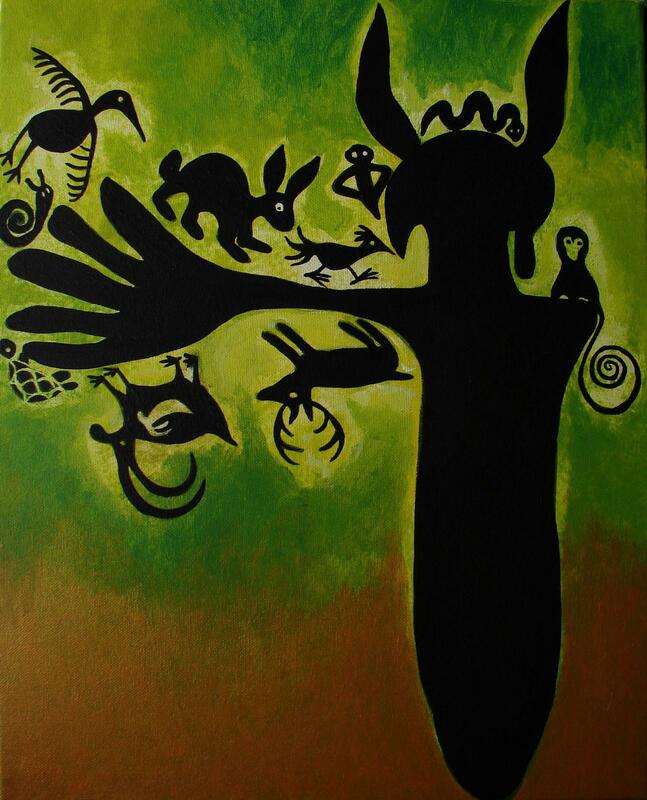 seems to depict an antlered human being perched on top of a tree. 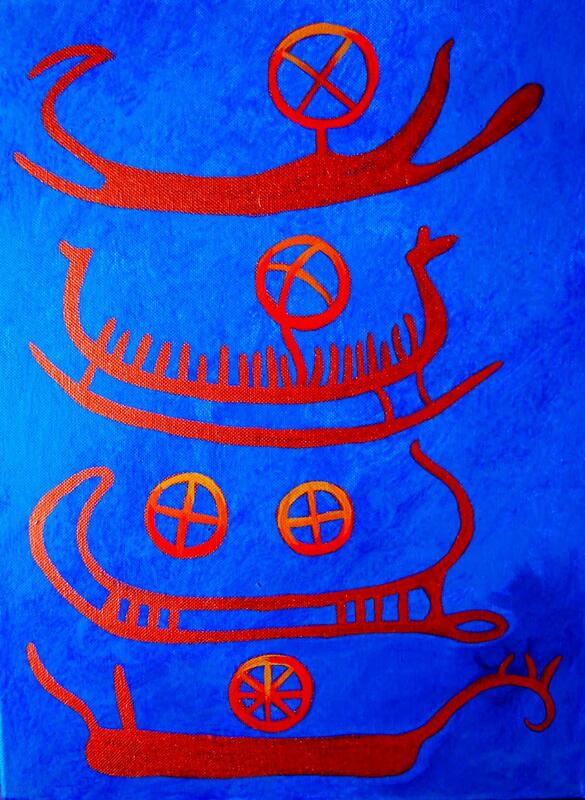 Or is it a shaman dressed in animal spirit guide costume climbing the Cosmic Tree to the Other World? Rapanui (formerly known as Easter Island) is home to many drawings of fish and birds engraved on slabs and blocks of basalt. 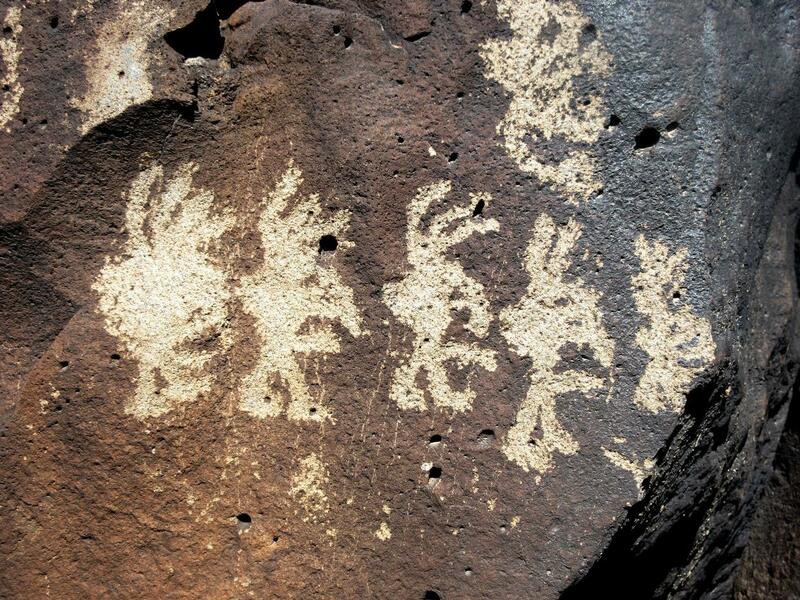 There are hundreds of petroglyphs portraying the 'Birdman' Creator God 'Make Make'. 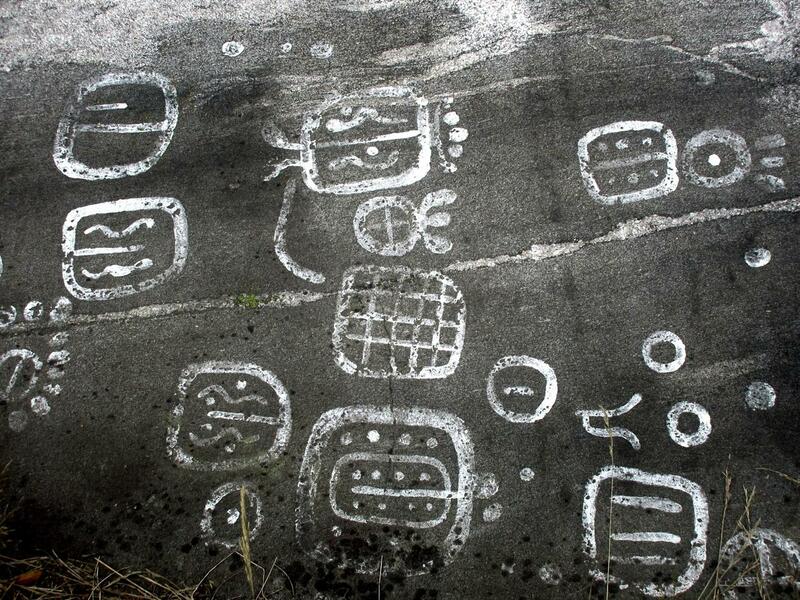 On the subject of petroglyphs and South America the Nasca Lines in Peru deserve a mention. Huge animal (and geometrical) shapes were carved out in the desert by digging a ditch that exposed the white rock beneath black soil. 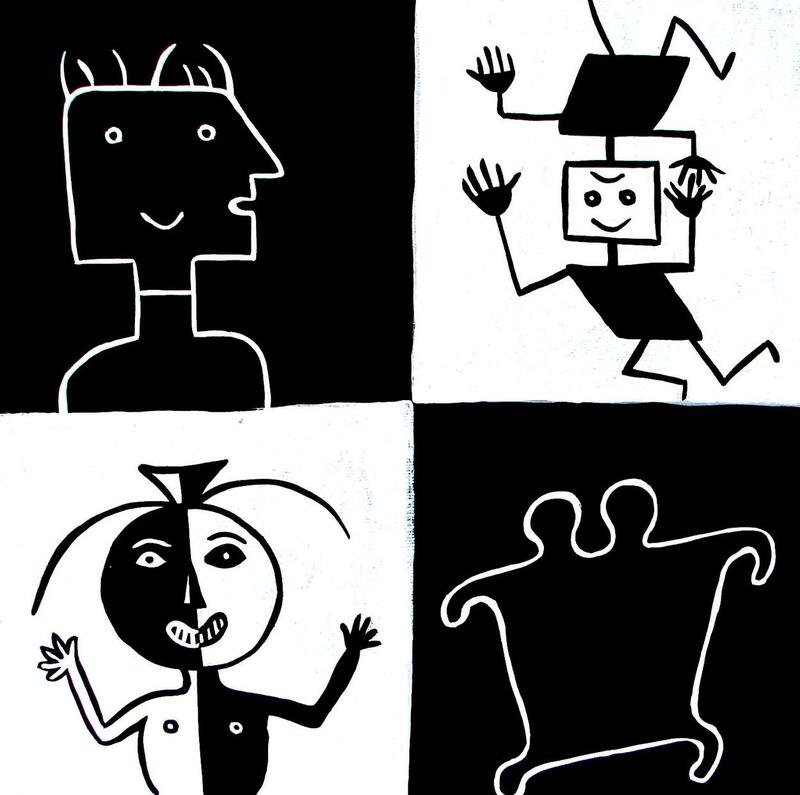 These figures are so immense that they can only be seen in their totality and their shapes recognized by going up in an airplane and flying over them. Way our theories have been posed as to their use and meaning, but we think these figures were used as paths for ceremonial walking. One concept that hasn't had a mention yet on this page is 'fertility'. 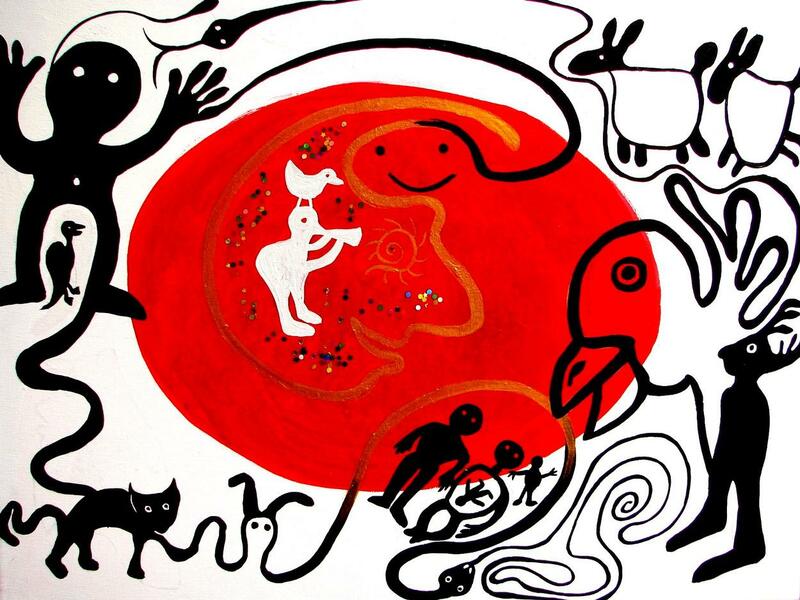 Fertility is one of the big themes in rock art of prehistoric cultures all over the world, particularly so in the American Southwest. 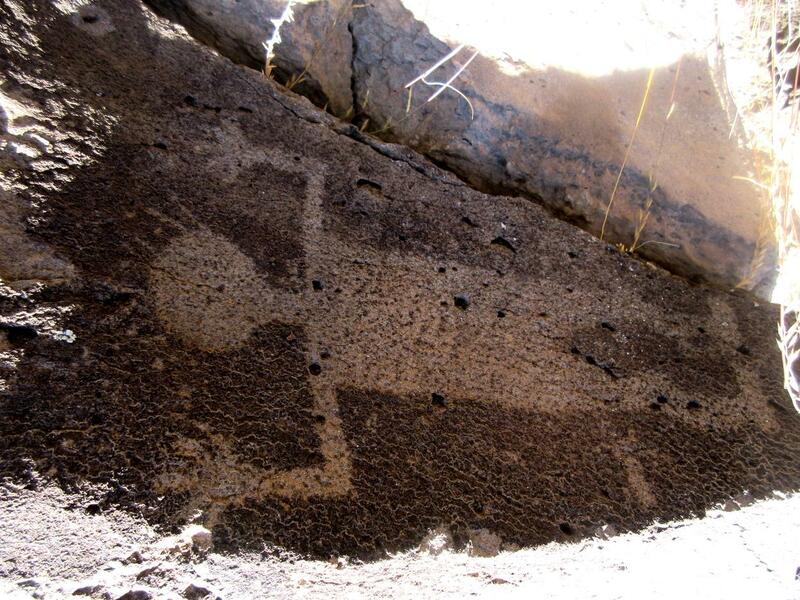 Modern scholars find rock art imagery embarrassing because of its blatant depictions of sexuality. However, in Native American societies sexuality wasn't only about reproduction and it wasn't necessarily restricted by marriage. It was thought to be a gift from the spirit world. It is also possible that some images of coupling depict fertility rituals such as the Sacred Marriage, where participants act out the parts of god and goddess in a mystical union to sustain life. 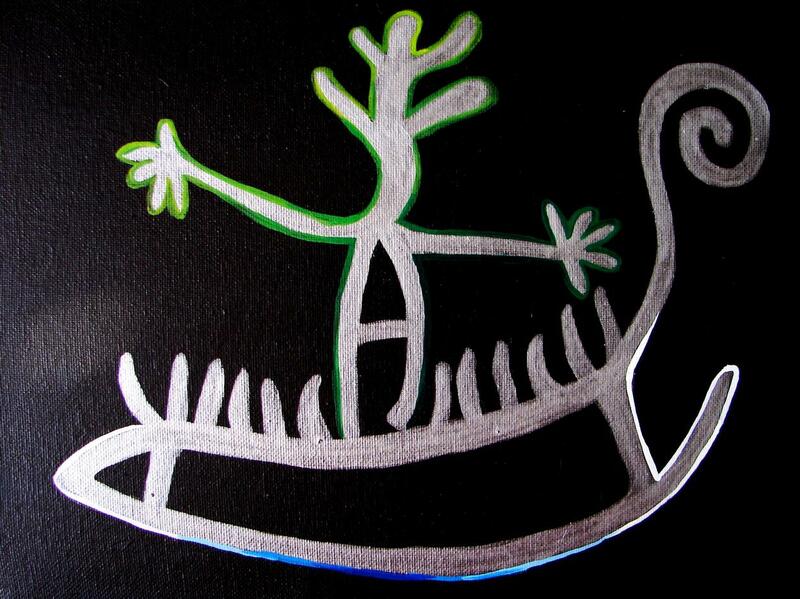 (See the book The Serpent and the Sacred Fire by Dennis Slifer for more information about rock art and fertility). Rock Art was art made by the first humans, it takes us right back to the cradle of human life as we know it. It has the power to move us and touch us even today, tens of thousands of years after it was made!